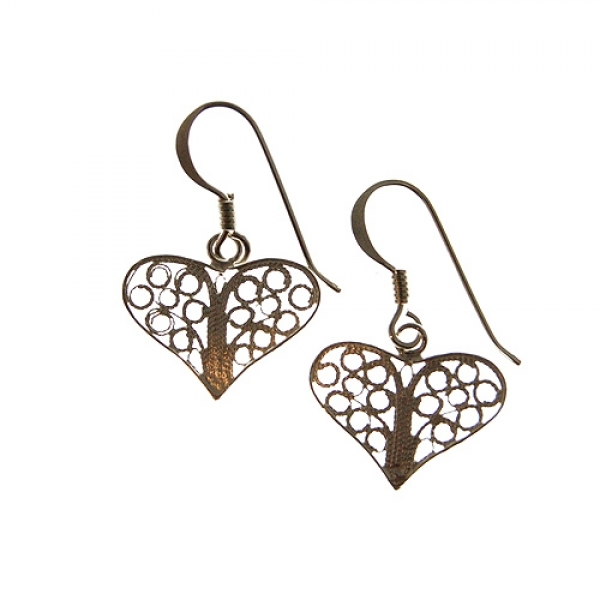 These delicate heart charm earrings are handmade with sterling silver using filigree technique. 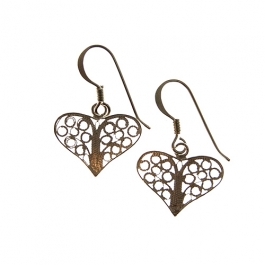 Filigree is a technique used to produce delicate, intricate patterns in metal. Approx drop: 1.5cm. 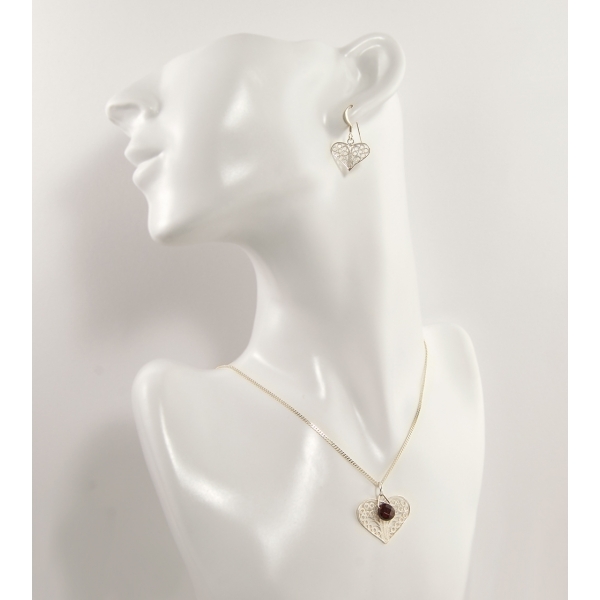 Wear with the matching garnet heart necklace for a perfect set and gift idea.